​Sixth grade is very excited to attempt a new project for their ocean unit this year. We are going to create a life-sized, walk through exhibit of the ocean floor! There will be more details to come, please speak with your child about the preliminary ideas we have. 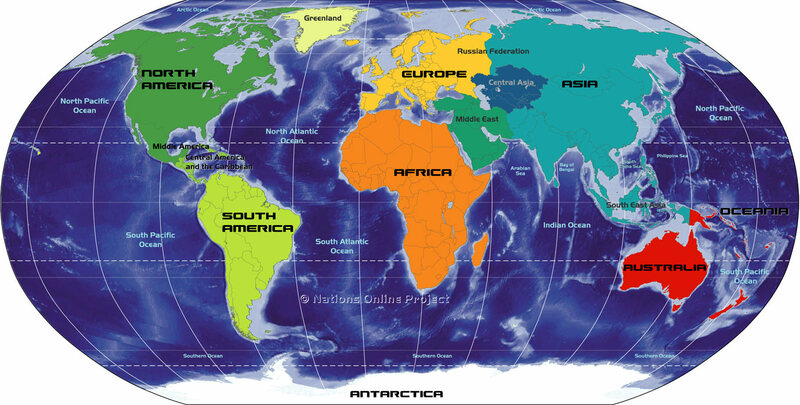 Students should come to school on Monday with three ocean floor regions they are willing to be an expert on. The regions will be assigned on a first come basis, so be sure to arrive on time! Today in science class we made a non Newtonian fluid, commonly called Oobleck. The Oobleck is in a plastic bag, in their backpack. Please make sure it makes it out of the backpack so as to avoid a possible mess. The recipe for Oobleck is 1 cup water, 1 cup (or more) cornstarch, and food coloring if desired. Unfortunately, I did not have enough cornstarch for every student's Ooblek to form. Please help them to add more, in small amounts, until it becomes liquid when left alone, but firm when punched or squeezed quickly. Feel free to contact me if you have any questions. Have fun! Today students learned about the various phases and states of matter. We also discussed non Newtonian fluids (fluids that do not adhere to Newton's Laws). Students learned about chemical energy today. Please see the following websites and videos to see the information that was shared. ​Today students learned about heat energy in class, see presentation below. They will learn about nuclear energy at Reed College during their field trip this Friday. Today we reveiewd what we had learned about Energy before the break. We then played a game of Energy Jeopardy. The class did very well and all seemed to enjoy the experience. Today students began their investigations into Energy. We introduced the concept of energy, what it is, and what forms it comes in. Today students got a chance to review their Astronomy Exams to see what they did well and what they could improve on. We then spent some time reviewing the materials from our plate tectonics unit in preparation for Wednesday's assessment. Game Day! Students spent their science time sharing and playing one another's games. I am very impressed by the designs they come up with and we had a great time! Students spent the day working on their games. Games are DUE Monday, November 21st and will be played in class. Today we completed our investigation of plate tectonics, earthquakes, and volcanoes. Please see the presentation below. Our day was spent designing games that will help teach our classmates about tectonic plates, volcanoes, and earthquakes. Students are working in groups of 3 or 4 to create a game that can be played by 3 - 4 people. The game must teach the players about science as well as test them on their knowledge. Several students are using game models that already exist (such as Monopoly, Sorry, Jeopardy, etc.) and others are coming up with their own game designs. Games are DUE: Monday, November 21st! Students completed their Earth Layer cards. Any students that did not complete their cards in class will need to do so over the weekend and turn it on Monday. This week students learned Earth's layers. They created wonderful pop-up cards depicting the different layers. Today students investigated the movement of the earth's surface over the millennia. Students have completed their Astronomy studies and begun their investigations into Plate Tectonics. Please see today's presentation through the link. In class today students learned a bit of background information about dark matter. We then discovered the Andromeda Galaxy. And finally students learned about quasars. Students spent today learning about the Milky Way Galaxy. Star maps are due on Monday! In class today we talked specifically about constellations, investigating a few of the different star maps that come from different cultures. We also watched a very interesting documentary about the importance of constellations to human history. Choose a region to focus this project on. For example, the map could be of just the night sky above the US in winter, the entire southern hemisphere, or any other large-scale region. Use a variety of materials, scraps, ingenuity to make a 3D model. Materials could include light strings, glow-in-the-dark paint, or paper. Neatly write an explanatory paragraph (like at a museum or art gallery) that explains to viewers what is on your map. Include a title and compass rose for your map. is a star chart analog computing instrument in the form of two adjustable disks that rotate on a common pivot. It can be adjusted to display the visible stars for any time and date. It is an instrument to assist in learning how to recognize stars and constellations. of celestial events contains dates for notable celestial events including moon phases, meteor showers, eclipses, oppositions, conjunctions, and other interesting events. or star map is a map of the night sky. Astronomers divide these into grids to use them more easily. They are used to identify and locate astronomical objects such as stars, constellations and galaxies. is similar to a star chart but on a much larger scale, only depicting the galaxies of the Universe. represents the constellations of a region during a specific time of year, as they are related to one another. gives the general position of celestial bodies as they relate to the earth, constellations and one another. combines several different celestial maps in one location (usually a book). Composition and Structure of the Universe and the Earth's Place In It. I construct a model or diagram of how Earth interacts with various extraterrestrial forces and energies such as gravity, solar phenomena, electromagnetic radiation, and impact events that influence the planet’s geosphere, atmosphere, and biosphere in a variety of ways. We started our day in the basement, viewing a demonstration of binary star systems. We then continued our conversation from last time, analyzing the ratios on our star list. Then we moved to binary star systems, recognizing how scientists are able to use the changing brightness of a binary star system to measure the size of the two stars in the system. In science today, sixth graders began to look at stars. We watched a wonderful video about how scientists learn the sizes of stars. Then we organized a list of stars in order of their size by radius. Students were to then find the ratios of each stars' radius to it's mass. Tomorrow we will discuss what this ratio indicates. Today sixth grade was introduced to the lab. We practiced safety procedures and learned the various rules of the lab. Today we began our studies of Gravity, discussing Newton's law of Universal Gravity and touching on the Theory of Relativity as the extension on Newton's Theories. Today students were introduced to 6th grade science. We began with a discussion about gravity as it relates to astronomy. Astronomy will be the focus of our studies for the next several weeks. Please check here often for regular updates.